I know parents can agree that back to school can be a bag of mixed emotions. I was happy my children were going back to school but sad to see them grow another year. Oh how I miss that sweet smell of newborn and the chubby cheeks I used to kiss all day. But one thing hasn’t changed and that’s my ability to cook something special that will put a smile on their faces! I thought about one of their favorite sweets; cookies! 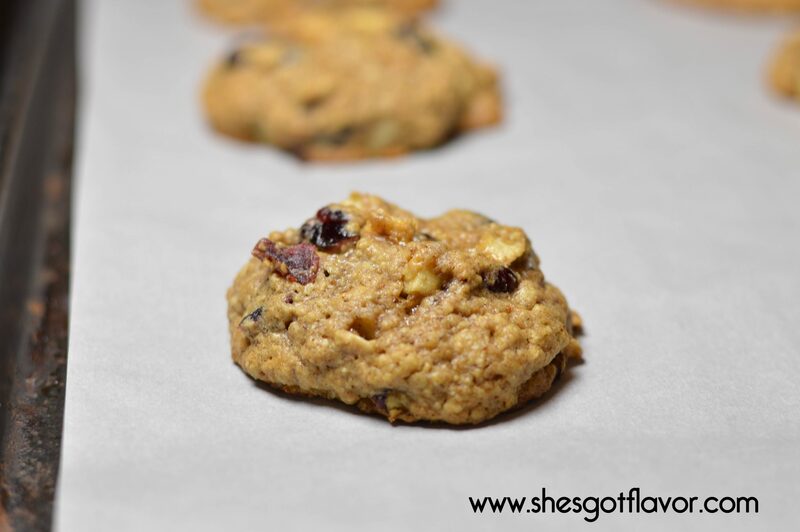 They both love oatmeal raisin cookies so I wanted to put a twist on it and I wanted to develop a recipe that was quick and easy. Kustreaz was the perfect brand choice for what I decided to make because they make baking in the kitchen sweat free and all of their products taste insanely delicious. 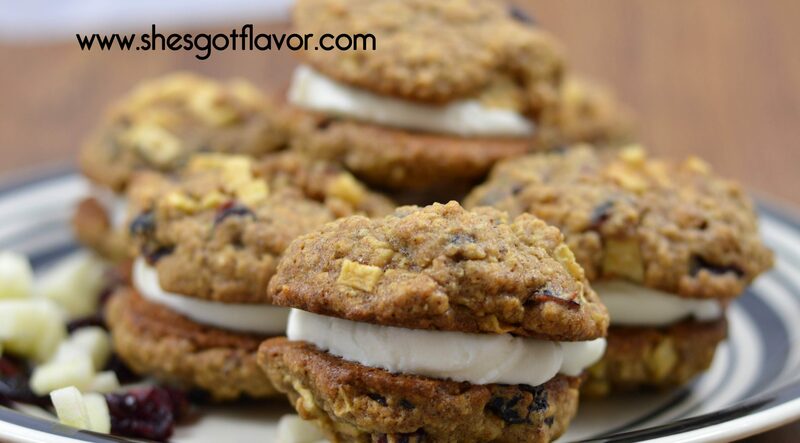 So after careful consideration I came up with Oatmeal Cinnamon Apple Whoopie Pies, Whoo Hoo! I made these the first day of school and the kids loved them! I put one in their lunch bags and had some waiting on them for dessert after dinner. They were in heaven and lil ole’ me I got just what I wanted; two big beautiful smiles! It starts with this lovely Krusteaz cookie! Thsee look so delicious! Forget my kid’s lunch! Lol I’m putting these in my lunch! 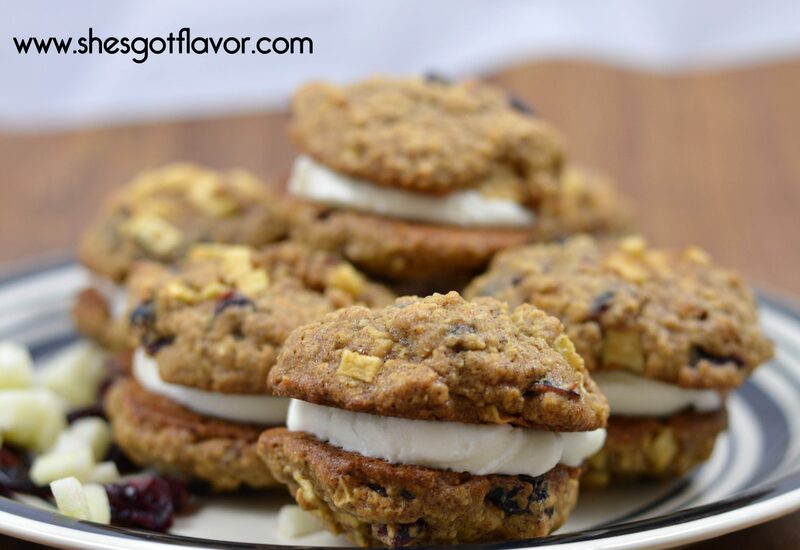 So happy you are going to try them, they are so delicious!